Let's say we are supposed to display some data on page before downloading a file in web application. 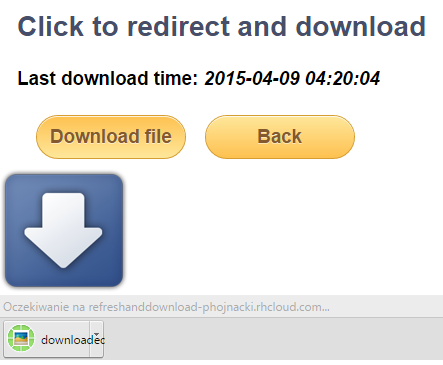 Think of displaying number of downloads or last time the file has been downloaded. Yes, that's a piece of cake, you may say dear reader. 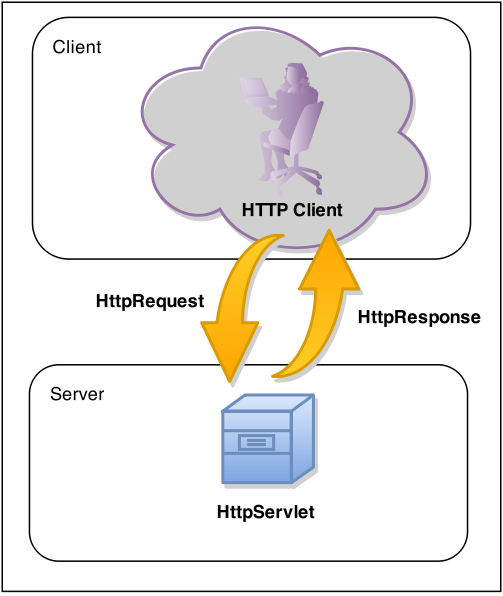 I can write a Servlet that generates HttpResponse with relevant Content-Type, Content-Disposition in the header and my file's stream. Actually it would work. But what about refreshing page. As we know there can be only one response per request. So where to put refreshed page content? 1° Not perfect but whole navigation is enclosed within single page. 2° Perfect but additional browser window is beeing opened. Please play a little bit with working example to check how things work. You may analyse conversation with web server in your browser by debugging (F12). You may notice that in single page case, refreshing page (F5) in browser causes downloading file once again without setting last download time. That's because browser refresh (F5) causes repeating of the last request (which is in our case request for the file). To review the two aforementioned examples see complete sources on GitHub.